Lawyer and yogi Tyree Ayers is constantly balancing the demands of her law career and passion for living a healthy and fulfilling life and encouraging others to do the same. She shares how she makes time to pursue both her vocational and avocational passions. Tyree Ayers is a lawyer and a yoga instructor who lives in the Baltimore-Washington DC area of the United States. Currently, while practicing law full-time, she also teaches four yoga classes weekly and loves the opportunity to make meaningful connections with fellow yogis. Tyree starts her day around 5 – 5:30 am, as she gets a lot more done when she starts out early. She follows a morning routine that involves scripture reading, prayer, and some kind of physical activity such as yoga, strength training, or something that gets her heart pumping and wakes her up. When she’s getting ready in the morning, Tyree is intentional about not having noise in the background, so she doesn’t listen to music or turn on the TV as she moves around the house. This practice helps her to get centered and to prepare for the noise to come her way throughout the day. The exception she makes is during winter months when she needs to check for the weather to get an idea of road conditions on the news. Depending on traffic, she’s usually in the office around 8:45 am. When she arrives, she checks her calendar for meetings with clients to prepare for as well as her personal to-do list of things she’d like to accomplish. This coming May, Tyree will have been practicing law for 15 years. In the past, she’s worked in private practice, and then made the transition into the federal sector, representing the Department of Commerce. Now she works for a corporation as an in-house lawyer. Her previous jobs entailed a commute time of anywhere between an hour to two hours due to horrible traffic. But she was fortunate enough to find an opportunity closer to home that requires only a 20-minute commute, reducing her stress and allowing her to get into the office earlier. Not saying no is probably at the top of Tyree’s list of productivity challenges. In 2017, Tyree’s word of the year was “No.” She has a tendency to want to please people or give in to the pressure to respond, instead of thinking about her schedule or the big picture, so she ends up saying yes to a lot of the things that probably should’ve been no. Like a lot of us, her phone poses a challenge as well. When she should be focusing on work, she somehow finds her phone back in her hand, offering a quick dopamine hit on social media. She tries to be mindful of that tendency and reminds herself of her priorities for the day, and intentionally carves out time for off-time activities on her phone. To deal with the temptation to be on her phone when she needs to be working, Tyree will put it away in her desk drawer and silence it. When she needs to focus, she uses the Pomodoro technique and sets the timer for 25 minutes of focused work followed by a 10-minute break. In case thoughts unrelated to the work at hand creep into her mind, she keeps a notepad handy on her desk and jots them down to be reviewed later. Tyree has a few different work surfaces in her office, so sometimes she'll turn her back to her computer and move to her table and where she can spread out whatever materials she's reviewing. She also turns on lights and uses Spotify for music with no lyrics but an energetic beat. When she uses Spotify, she looks under Genres and clicks on the “Focus” category for different background sounds and music such as instrumental beats, white noise, music for reading, music for chilling, and also classical music. The music automatically creates a more focused response in her. To deal with her difficulty in saying no, Tyree thinks about her calendar. She has a monthly calendar on the wall in her home office where she can see all her events and activities, whether work-related or personal. The calendar is transferred to her phone, so she can refer to it when she’s out and about when someone asks her to commit to an event. She is building a habit of being more mindful of how much time these commitments will require, and also of leaving enough margin for herself so she can rest or do something that helps refuel her tank. The awareness the calendar brings helps her to pull back. She makes time every 10 days or so to reflect back on the past week to see how things are going and to see if she missed anything that needs to be done. She believes this will help shape how she responds to any kinds of requests or inquiries going forward. She's intentional about carving out the time to do her weekly reflections in her journal. It’s a great time for her to get her thoughts down on paper and unpack it in a safe place, to jot down her thoughts and noodle over them, to really explore what she’s feeling and why, and to think about what actions she can take to remedy the situations if needed. Master calendar at home, on the PC, phone, and work computer. She refers to it often, especially at the start of her workday to check which clients have added a meeting, so she can prepare for it effectively. She files away important documents for easy accessibility, as well as collects recipes in there. On Sunday afternoons, she finds recipes on Google or in a couple cookbooks, plans her meals for the week, and creates a grocery list based on this plan. She does all the cooking that evening and divides up the food into containers and stores them in the fridge to be taken one at a time each morning. The timer function on her Apple Watch has been helpful because the haptics reminds her to stand and breathe. In conjunction with this, she has a standing desk converter that allows her to either stand or sit for activities that are more conducive to one position over the other. 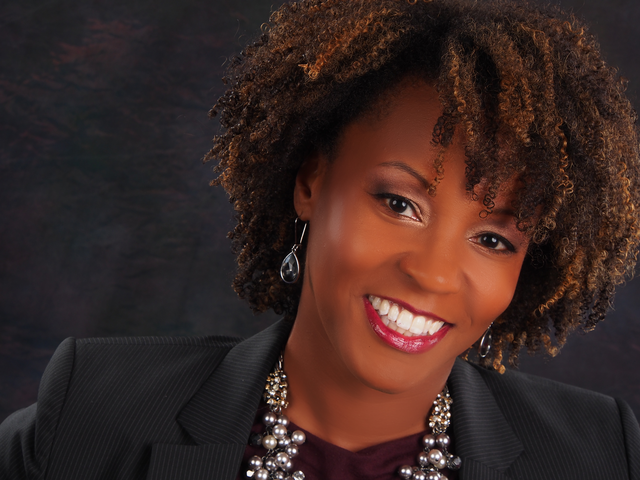 Tyree is certain her yoga practice has helped her law practice immensely. She jokes that she’s a counselor, because the type of work that she does is in employment and labor law, and the subject matter can stir up some really strong emotions in clients and witnesses. Being able to maintain her own calm–a benefit of her yoga practice–can transfer over to them and help them to focus on the issues at hand. She devotes time at least 5 or 6 days each week to her yoga practice. Being in touch with her own breath and knowing how her body moves let her know when something is not quite right, so she knows she needs more rest or hydration, or to eat more healthily. Her yoga time also helps her to sit and be okay with her feelings, rather than suppressing any feelings, doubts, uncertainty, shame, vulnerability, or anything else that can flow up due to various experiences. This practice has allowed her to be a better listener to her clients and has given her more awareness on what helps her to focus. She consistently thinks about “what makes me the me that I am meant to be as I grow personally and professionally?” Yoga gives her the space to do that. Obviously practicing law can get stressful, and it’s great for her to have an activity that helps her deal with the stress directly. What she learns in her yoga practice helps her to come up with better ways to respond to the stress and keep perspective, rather than lettings things fall out of whack. The two practices definitely complement each other well. Tyree reaches out to her colleagues and boss for help when work-related issues get overwhelming. For personal issues that she’s trying to sort out, her ideal way to deal with those is to take a nap. When the wheels are falling off the bus, and things are simply not working out the way she had hoped, it’s a signal for her that she’s tired and overextended. Another thing she likes is to allow herself a couple squares of dark chocolate. The yogi in her helps her to focus on what’s really important and how she can learn from these experiences. Of course, girlfriends are always great to talk to, and they are only a phone call or text away. What’s on the horizon for Tyree? 2018 is a year for Tyree to continue fine-tuning her instruments and continuing to grow. Having made the transition into a new work environment, she wants to continue to build the relationships there. It's like a Rosetta Stone experience; she just wants to soak everything up in the culture and language. She’s currently in the healthcare industry so there's a lot of regulations. She wants to sharpen her tools as she learns as much as she can professionally so that she can provide the best advice, support, and training to her clients. She is very close with her family, and she has two friends who empower and encourage her. Maintaining these relationships are really important to her because they are what really bring all of these things together. Dream a little bit and spend some time brainstorming. Just be in the space to hear whatever it is your heart is calling for and write it down. Then work on putting it in action. This is important because we can get stuck in the dreaming phase or writing nice little journal entries and let that be the end of it. Taking action even when you're afraid is an opportunity for further growth and development because it will take you outside of your comfort zone. Do you have any questions for Tyree or me? Please share them in the comments section below this post or in The Productive Woman Community Facebook group, or email me. As a lawyer and yoga teacher in the Baltimore-Washington, DC area, Tyree Ayers is constantly balancing the demands of her career and passion for living a healthy and fulfilling life and encouraging others to do the same. Tyree is Senior Counsel for Employment and Operations at a healthcare corporation in Maryland. She finds her career gratifying and enjoys advising clients on a wide variety of employment-related issues in the workplace. Tyree has always been a health and fitness enthusiast. In her mind, eating well and maintaining a regular fitness routine are essential for her to achieve her personal and professional goals and aspirations. Given Tyree's busy work schedule, she had no real plans to pursue a role in the fitness field beyond going to the gym and working out with friends, but her passion to teach yoga simply would not go away. Tyree was introduced to yoga in college and immediately fell in love with it. After completing her first class, she often joked to friends that when she grew up, she wanted to be a yoga teacher. Tyree thought nothing of actually pursuing this passion until years later. She had serious concerns about the juggling act that would be required to maintain her heavy workload. In 2014, she took a leap of faith – she completed a 200-hour yoga teacher training program and has been teaching ever since. Currently, she teaches four classes weekly and loves the opportunity to make meaningful connections with fellow yogis. Tyree is grateful that she continues to excel in her full-time legal career. Taking this leap of faith taught Tyree that, with planning and focus, she has plenty of time to pursue her passions and manage life's demands. Since adding yoga teaching duties to her schedule, Tyree has become a marathoner. She continues to maintain meaningful relationships with friends and family and is involved in activities at her church, professional community and beyond. FreshBooks, offering a 30-day, unrestricted free trial to The Productive Woman listeners. To claim it, just go to FreshBooks.com/WOMAN and enter THE PRODUCTIVE WOMAN in the “How Did You Hear About Us?” section. MODSY, offering 20% off any design package for TPW listeners. To claim it, visit www.modsy.com and enter promo code PRODUCTIVE at checkout.